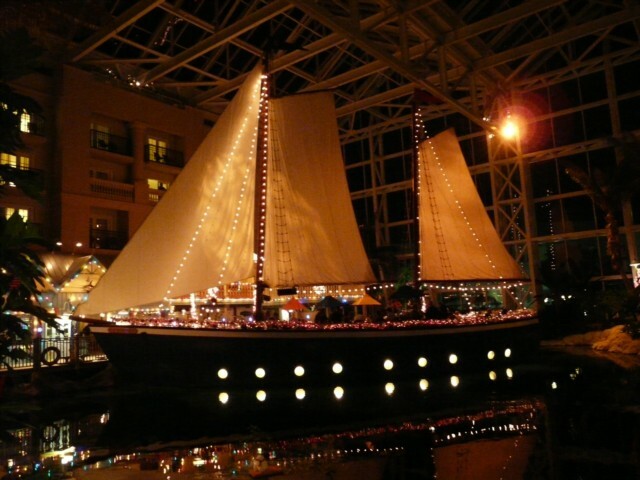 We were lucky to be taken to Gaylord Palms by a friend as we would not have thought of venturing into the enormous convention centre. It is worth visiting just for the experience of seeing what can be done in an indoor atrium but the Villa de Flora also offers a very good ding experience at value for money prices. As you walk into the central area of the Centre the word awesome takes on a new meaning. The vast area is split into a number of areas representing different regions of Florida. We entered through the Everglades to a steamy atmosphere with all the plants and vegetation you would expect. And not just the flora there are alligators there too. You can even time your visit to watch them being fed. There is also a restaurant in this area. 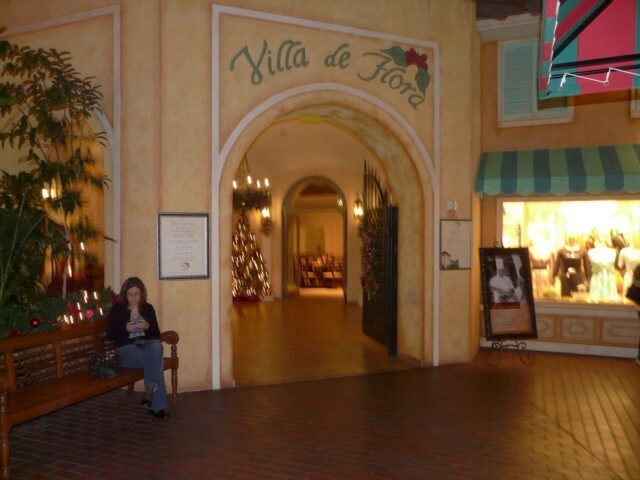 As you move through the walkways and boardwalks you come to St Augustine’s complete with fort with ramparts and just beyond here is the Villa de Flora Restaurant. This is a buffet restaurant but this term does not do it justice. You are taken and shown all the possibilities before going to your table. The selection of breads alone takes an entire serving area. They tend to have a theme for each night and this can be Spanish, Greek, Italian etc. but there are some things that are always available such as the carvery and pasta bar. You are completely spoilt for choice and the one thing that stops you from overeating on the starters and main courses is the sight of the dessert island. This is not a area for the diet conscious who can stick to the salad bar. 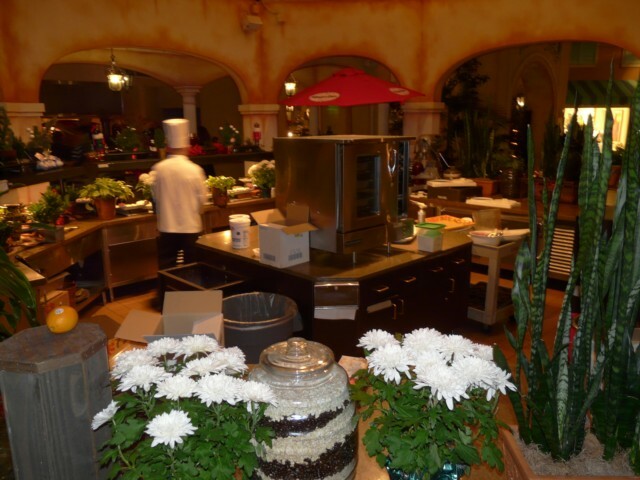 You are welcome to visit the serving stations as often as you like. The price for dinner includes all soft drinks, all the food you would like plus tea or coffee at the end. Quite often there is some entertainment too. 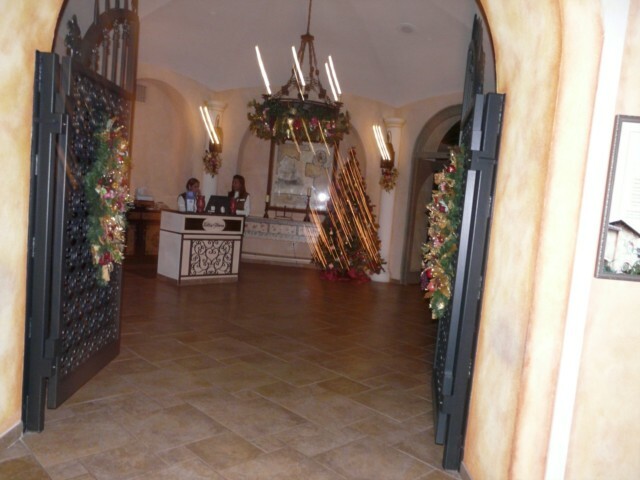 After your meal you can continue your trek through the Centre until you reach Key West. The restaurant there is a “boat” on the Key West Water. There are also typical Key West shops if you wish to buy some gifts. When you drive in you have to take a ticket from the barrier and you should take this to the restaurant of your choice as they will need to code it for you so that you do not have to pay a car parking charge. Otherwise it will cost you $7 to park. We think this is a wonderful dining experience and it is only about 15 minutes from our home. Viewed 4637 times since 1 September 2008.